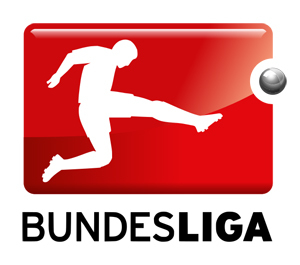 Dortmund take on Wolfsburg this Saturday all but out of the title race in the Bundesliga. Wolfsburg’s latest defeat to Augsburg also means they’re likely to miss out on European football. Bayern Munich have the chance to be crowned Bundesliga champions once again in front of their fans on Saturday as they welcome Borussia Monchengladbach to the Allianz Arena. The biggest game of the German Bundesliga this weekend is at the Veltins Arena as Schalke welcome title chasing Borussia Dortmund. Two sides which have recently taken points off German champions Bayern Munich go head-to-head as Dortmund welcome Mainz to Signal Iduna Park. The biggest game in Germany takes place on Saturday evening as Bayern Munich make the trip to Borussia Dortmund with the gap between the two sides currently standing at 8 points. Two German heavyweights go head-to-head on Saturday afternoon as Bayern Munich look to build on their draw against Juventus midweek with victory at the Volkswagen Arena against Wolfsburg. Bayer Leverkusen play host to Borussia Dortmund with the two likely to be fighting for who finishes runners up to Bayern Munich in the Bundesliga this Sunday. Hertha Berlin will be looking to build on their impressive season where they’re joint 3rd with Bayer Leverkusen this Saturday as they take on Wolfsburg. Bayern Munich will hope to brush away the cobwebs after a lacklustre return from the winter break against Hamburg with a home victory over Hoffenheim on Sunday at the Allianz Arena. Wolfsburg will be looking to bounce back from a 3-2 defeat against Eintracht Frankfurt when they host Koln on Sunday at the Volkswagen Arena.